BC Ferries revealed the winner of the mid-life upgrades contract for Spirit-class ferries. Vessels are to be converted to operate on liquefied natural gas (LNG). 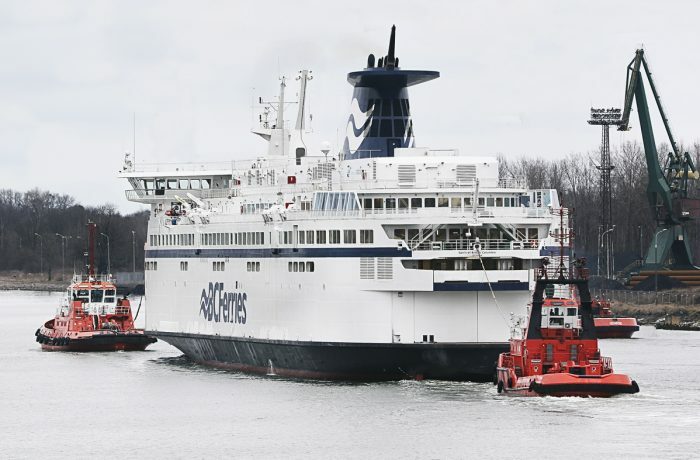 Following the completion of a competitive bidding process, BC Ferries has awarded Remontowa Ship Repair Yard SA of Gdansk, Poland a contract totalling $ 140 million to conduct the Spirit-class mid-life upgrades (MLUs), which includes the conversion of both vessels to dual-fuel, so they can operate on LNG, beginning in 2017 and completing in 2019.BC Ferries conducted an extensive competitive bidding process to ensure that the company secured the best bid for its customers and the taxpayers of British Columbia. One shipyard from B.C., Seaspan’s Vancouver Shipyard, was among the three shipyards shortlisted and invited to participate in the RFP process, however decided to withdraw from the process. The other of the three shortlisted bidders was Fincantieri of Italy. Remontowa Ship Repair Yard is the largest ship repair yard in Poland and ranks amongst the largest in Europe. Annually, approximately 200 ship projects are conducted there. The shipyard has a strong record for delivering the required engineering and production capabilities for complex large scale conversion projects on schedule. The company is well experienced and proven with LNG fuelled ships. All of these elements factored heavily into the decision of contract award. 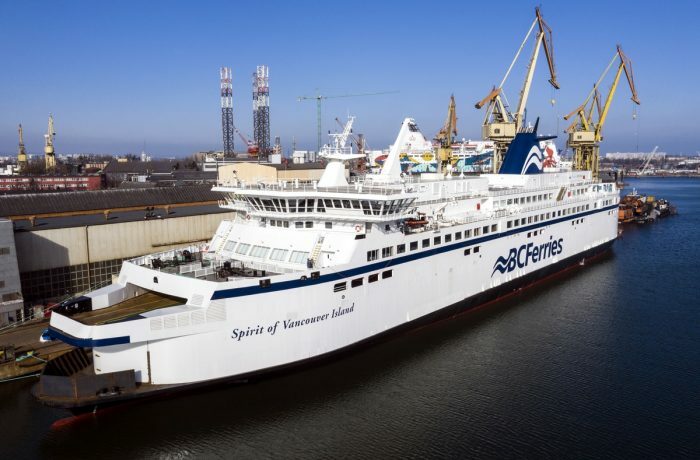 “Last fiscal year, we spent approximately $ 118 million on diesel fuel of which the two Spirit-class vessels consumed approximately 16 per cent,” said Mark Wilson, BC Ferries’ Vice President of Engineering. “The conversion of the two largest ships in the fleet along with the three new dual-fuel Salish-Class vessels currently under construction [at Remontowa Shipbuilding in Gdansk – PatS] will go a long way to help with fare affordability for our customers as LNG costs significantly less than marine diesel. 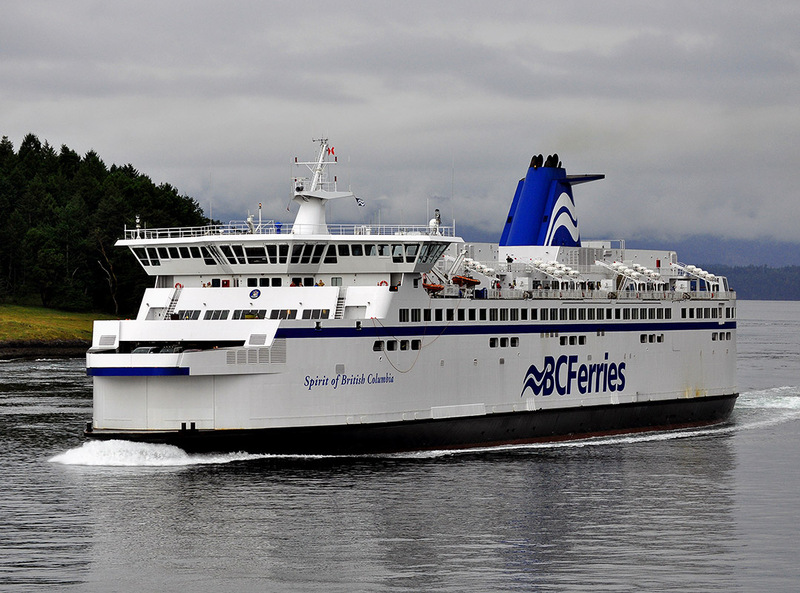 In addition to the financial benefits of LNG, BC Ferries is committed to converting to more environmentally-friendly fuel sources to improve our environmental footprint” – said Wilson. 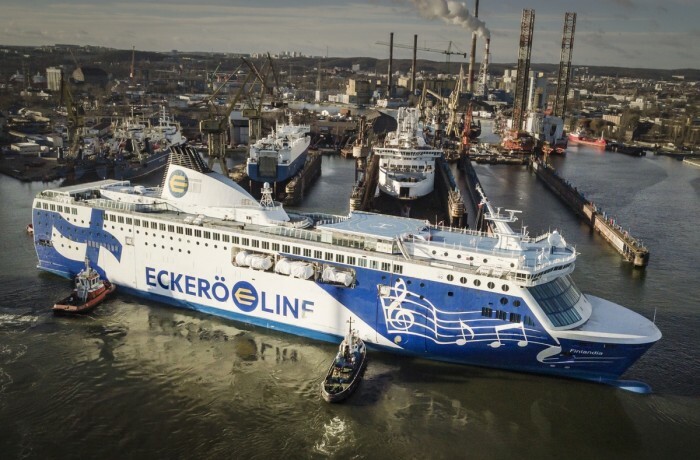 “By utilizing LNG to fuel the Spirit-class vessels, we expect to reduce CO2 emissions by 12,000 tonnes annually, which is the equivalent of taking approximately 2500 vehicles off the road per year.” – he added. In order to help make the project financially viable, BC Ferries pursued funding under incentive programs to help offset any incremental capital costs associated with the use of LNG. The company has signed an agreement, subject to certain conditions, to receive up to $ 10 million contribution from FortisBC Energy Inc. as part of the Natural Gas for Transportation (“NGT”) incentive funding. This funding will be used to partially offset the capital cost of converting our two Spirit Class vessels to dual fuel capability. In addition to the LNG conversion, safety systems will be renewed or upgraded including the marine evacuation systems, rescue boats, fire detection system, public address system and installation of a local water mist fire protection system. The passenger areas will receive an interior design refresh including new carpeting, renewed washroom interiors, an additional washroom on Deck 5, expanded gift shop and new coffee bar on Deck 6. Upgrades to the passenger elevators include renewal of mechanical and electrical drive components, emergency communication system as well as upgrades to the electrical and control systems. Planned renewal of navigation equipment, propulsion equipment components including rudders, steering system, bow thrusters and propeller blades will also occur during the MLUs. Installation of LED lighting and more efficient air conditioning equipment will reduce energy consumption. BC Ferries is planning for the Spirit of British Columbia to be the first ship through the MLU and LNG conversion process and commence actual conversion from the fall of 2017 through the spring of 2018, and the Spirit of Vancouver Island’s to follow the following year from the fall of 2018 through the spring of 2019. This schedule will allow for these two vessels, the largest in the fleet, to be in operation during the summer months when traffic is at its peak. 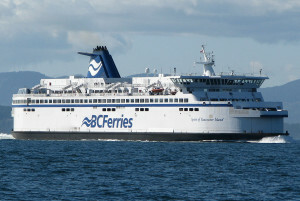 The Spirit of British Columbia was built in 1993 and the Spirit of Vancouver Island was built in 1994. BC Ferries plans to operate these two vessels for another 25 years. Both ships service the Tsawwassen – Swartz Bay run, the busiest route in the fleet. 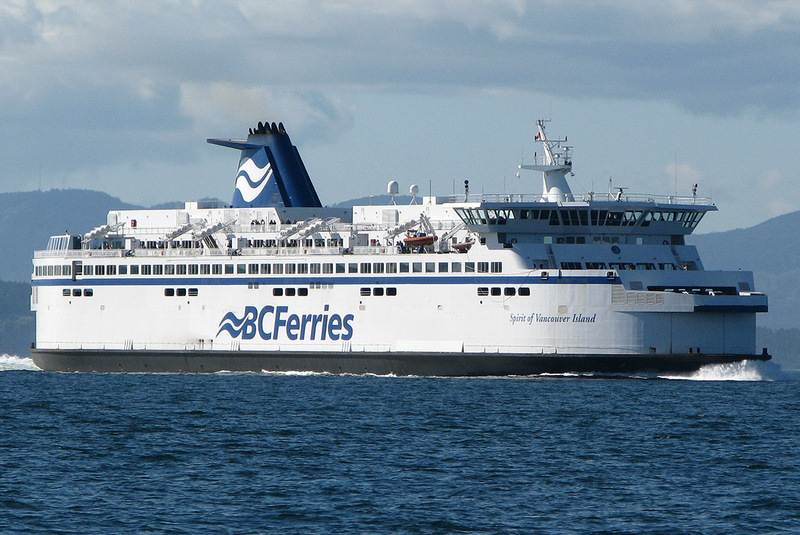 Under contract to the Province of British Columbia, BC Ferries is the service provider responsible for the delivery of safe, efficient and dependable ferry service along coastal British Columbia.